[SG] Butterscotch Cafe | unsatisfying food with infuriating service! Having heard so much of the latest cafe opening in the Bukit Merah area, we finally decided to go down and try it for ourselves! A pretty cosy space that's comfortable for about 20 pax, the ambience was welcoming and a relaxed one, perfect for the weekend. Craving for some mains before trying their desserts that they're better known for, we settled for the Eggs Benedict yet again. My first thought upon seeing this was that 'good things probably comes in small packages'. It was a little too small as compared to other cafes that we've tried, yet charging similar prices. 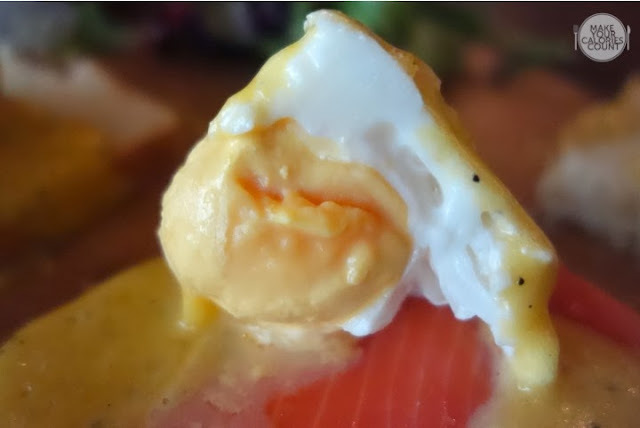 Taste-wise, it'd completely been a miss for us, with the hollandaise sauce tasting bitter without any buttery taste to it, while the eggs were just extremely over-cooked! It's probably the first time that I've had any eggs ben without any of the yolk flowing. I didn't like how the eggs were cold as well, and with every mouthful, you could taste cold water with the egg white. The smoked salmon portion wasn't generous enough either to have the taste of it coming through, and the piece of bread below was soggy. The only redeeming factor was perhaps the well-toasted bread on top that was just crisp and warm still. I was pretty psyched up about the butterscotch soufflé as that seemed like one of their signatures. Understanding the slightly longer waiting time for soufflés typically due to the baking time, we placed an order together with our mains, wanting to try it before ordering other desserts on the menu. Much to our disappointment, this caused the greatest dissatisfaction of our dining experience. Whilst we were one of the few customers around at the start, we'd waited for about 30 minutes before seeing the dish served to another table who arrived after us. Asked for the dish to be checked, we were told of a waiting time of 5 minutes. After another >5 mins, we'd asked for the dish again, only to be told that the waiting time was yet another 5mins and while we've told them that we've waited for more than 15mins, we were rudely ignored by their staff. The last straw hit when we'd waited for yet another 5mins and seeing several other dishes coming out, with no signs of the kitchen expediting our order despite asking several times. Only then, we'd decided to ask to cancel the order. Just then, the dish was ready by the kitchen and the service staff attending to us told the kitchen immediately to keep it back, without asking if we were still interested to have it. With the severe lack in sincerity in serving customers and retaining customers, it's certainly not a place that takes pride in providing customers an enjoyable dining experience. 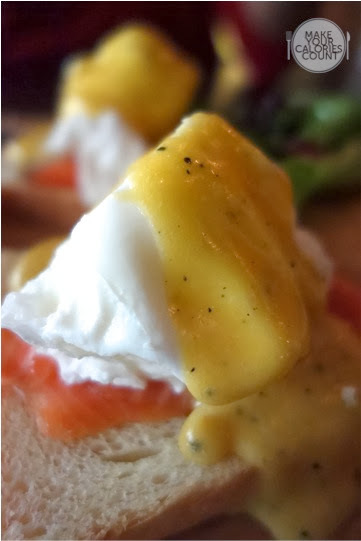 With the far below average eggs ben I've had and the (lack of) service experienced, it's certainly one to spoil our weekend cafe hop. As for the food, in all fairness, they're more known for their desserts rather than mains, so if you're keen to visit, you might wish to go there for some sweet tooth craving instead of brunch. Not to forget, for my Muslim friends, this cafe doesn't serve pork and they replace bacon with turkey bacon. Though it's not halal-certified yet, they've got quite a fair bit of Muslim customers so it's pretty safe. 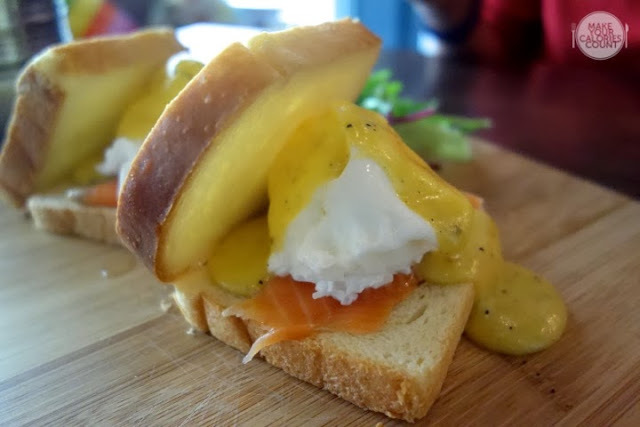 What kind of toast do they use for the egg benedict? It looks like those store-bought bread.